18 sports leaders attended the table tennis intro coaching course which was offered as part of a full week of coach education organised by North Ayrshire Active Schools department. Club coach Chris Main was asked to deliver the session which was held at Ardrossan Academy. The sports leaders completed and worked through the coursework and learned about the basics of table tennis and how to run a beginners session. 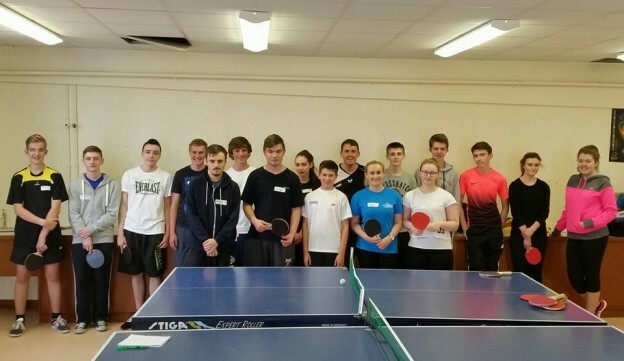 The 18 participants listened very clearly and showed great enthusiasm through the 6 hour course, and we hope that a number of them will help out local table tennis clubs in their area in the future. This entry was posted in Latest News on 14th August 2015 by Chris Main.